The latest addition to the Royal Horticultural Society (RHS) stable of titles is one that will be welcomed by many gardeners who want to propagate their own plants. ‘RHS Propagating Plants’ – editor-in-chief Alan Toogood – has been reprinted in an updated edition, and is full of practical advice, ideal for the thrifty gardener who wants plants for free, or who want to gift favourite plant cuttings to friends and family. This is indeed an impressive and knowledgeable title, from the Introduction covering ways in which plants grow and reproduce with both historic and modern methods of propagation to the A-Z pages at the end of each section. The format is attractive easy to follow and covers propagation of garden trees, shrubs and climbing plants, perennials, annuals, succulents and cacti as well as bulbous plants and vegetables. Virtually every type of plant is covered and there are plenty of step-by-step tutorials with ample illustrations. Every aspect of propagation is covered from sowing seeds, taking cuttings, layering, division and grafting and both garden and house plants are included as well as vegetables. I have often heard other gardeners say that they would love to start propagating their own plants but don’t have the confidence to have a go. ‘RHS Propagating Plants’ will certainly encourage even the most timid gardener to have a try and it certainly covers every aspect of propagating that you could possibly want. The book is full of useful advice from RHS experts and covers more than 1,500 garden plants. This is one of those books that is always handy to have on the garden bookshelf and is more than worth its weight in gold and certainly worth the £19.99 cover price. The photography is excellent and illustrations clear and easy to follow. 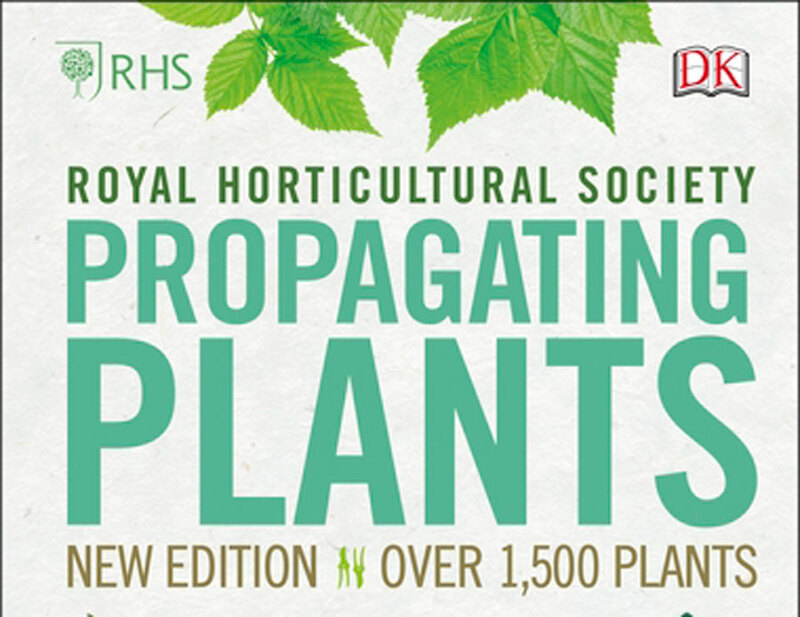 ‘RHS Propagating Plants’ (new edition) editor-in-chief Alan Toogood, photography Peter Anderson, is published by Dorling Kindersley Ltd., – www.dk.com – in hardback at £19.99 and is available from March 2019. A review copy of this book was kindly sent by the publisher.